Laduree, the famous French patisserie best-known for their exquisite macaroons, produces lovely accessories, T-shirt, stationary, bag, and handkerchief. Softly feminine design will make giving back look as good as it feels. 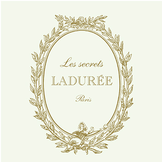 Please select Laduree category on left menu or click a below picture to view more details. There are more Laduree items and color variations. Please select Laduree category on left menu to find more.